A new mother who abandoned her twins over her husband’s inability to settle her delivery bill has been declared wanted. The accused identified as Sarah Ademola fled from Felken Maternity Centre in Somolu Lagos on Friday the 16th of December 2016 with the promise that she was going to borrow some money from a Microfinance bank but she is yet to return to the hospital as at the time of this report. 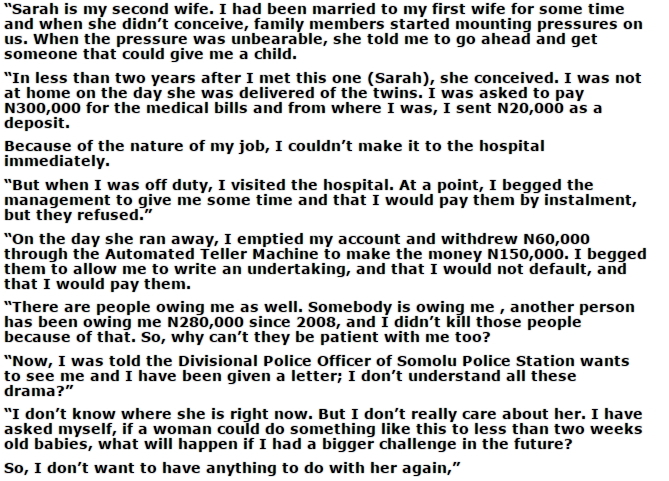 The husband of the accused, Adeyemi Ademola blamed the hospital management for refusing to yield to his appeals to pay by instalment. 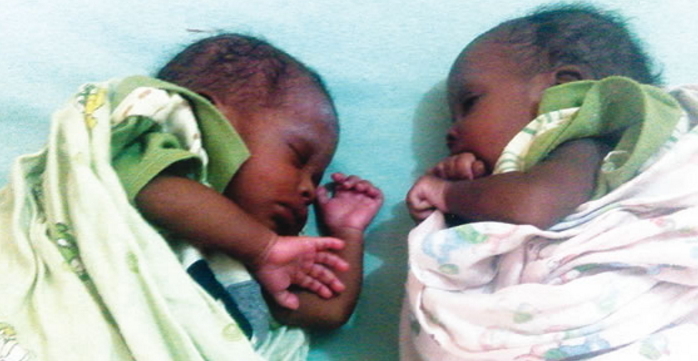 Ademola who has since disowned the run away mother of his twin girls said his first wife who is yet to conceive is now taking care of the newborns. How could she abscond, leaving her kids? Will that solve the issue at hand? Hmm, some girls can be senseless. SHE IS SENSELESS. WILL THAT SOLVE THE PROBLEM? Are you sure it is not post natal insanity induced by stress over the seemingly abandonment of the twins and herself by the husband that caused the lady to wander off? A search should be conducted to ascertain that this new mother is safe and sound before blaming her for absconding. I pray she is okay! « Confession Of Lagos Prostitutes: We Use Clients Sperm For Rituals & Force Them To Drink….